PHOENIX & SANTA ROSA, Calif.--Facility dog provider, Canine Companions for Independence, today announced its receipt of a $300,000 grant from PetSmart Charities, the leading funder of animal welfare in North America. The grant is designed to help Canine Companions provide assistance dogs to six facilities across the U. S. through its renowned Facility Dog program, which pairs expertly trained dogs with professionals working in rehabilitation, healthcare, education and courtroom settings. In these environments, facility dogs perform a variety of services for clients, such as helping students to focus in class, or providing support to a patient in a medical or psychiatric rehabilitation program. The six facility dogs are expected to impact hundreds of clients’ lives each week and more than 40,000 individuals per year. Canine Companions assistance dogs, including facility dogs, learn more than 40 commands to help enhance independence for children, veterans and adults with disabilities. Assistance dogs can retrieve dropped items, open doors, turn on lights and more. Facility dogs utilize these commands in a variety of therapeutic ways, such as improving balance in a physical therapy session by gently tugging on a toy, helping with fine and gross motor skills by retrieving and returning items to clients, and providing a calm and non-judgmental presence for practicing speech therapies. For example, Canine Companions Facility Dog Igor’s job is to encourage and motivate children during physical therapy sessions. Currently, the Facility Dog program supports 324 active dog-handler teams, which serve about 8-10 years. The PetSmart Charities grant will allow this program to expand with six more dog-handler teams to serve 40,000 more individuals per year. Collectively, the overall Facility Dog program directly impacts the lives of more than 16,000 individuals weekly, or more than 800,000 individuals each year. 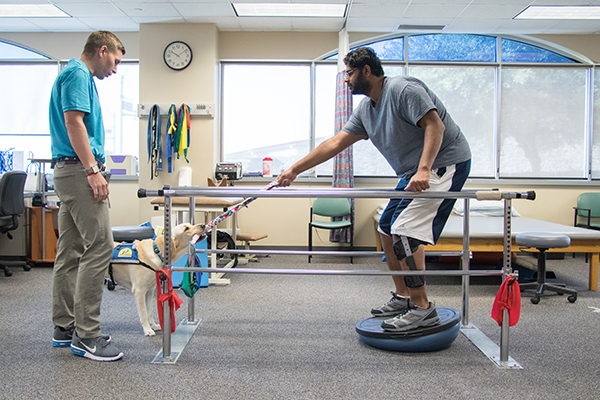 The $300,000 grant from PetSmart Charities will be distributed over the next three years to enable the Canine Companions team to raise, train and place six facility dogs in regions across the U.S. within hospitals, health care centers, rehabilitation centers, educational settings, or courthouses. As the first and largest, certified organization that trains and places highly skilled dogs in facilities, Canine Companions’ Facility Dog program has a waiting list of more than 50 facility dog handlers, who have undergone an intensive application and interview process, and are waiting to be paired up with the highly trained facility dog so together they can provide support and assistance for clients within a large organization. PetSmart Charities recently expanded its mission to include finding lifelong, loving homes for all pets by supporting programs and thought leadership that bring people and pets together. 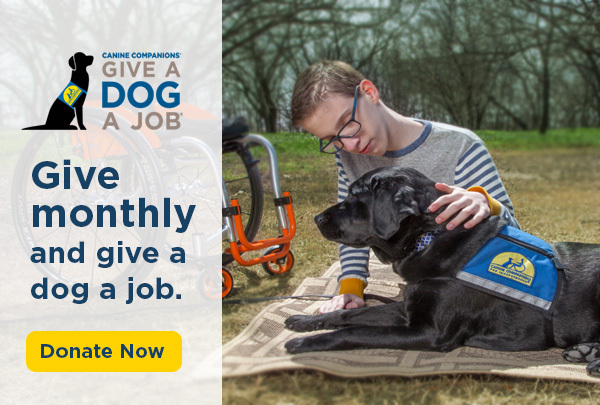 This new mission allows the organization to support animal welfare programs in more ways than ever before, and even reach other nonprofits, like Canine Companions, that help connect people and pets. The new Enhancing the Quality of Life Through Pets grant category, open year-round for applications, supports programs that train pets to become service animals for military veterans, people with disabilities and other in-need populations, and provides funding for pet therapy programs at hospitals, schools, and senior homes and more. For more information on PetSmart Charities, please visit PetSmartCharities.org. For more information on the Facility Dog Program, please visit www.cci.org. Canine Companions for Independence provides highly trained assistance dogs to children, adults and veterans with disabilities. Established in 1975, Canine Companions has six training centers across the country, including CA, FL, OH, NY and TX. Canine Companions is recognized worldwide for the excellence of its dogs, and the quality and longevity of the matches it makes between dogs and people. There is no charge to recipients for the dog, its training and ongoing follow-up services. For more information, call 1-800-572-BARK or visit www.cci.org.